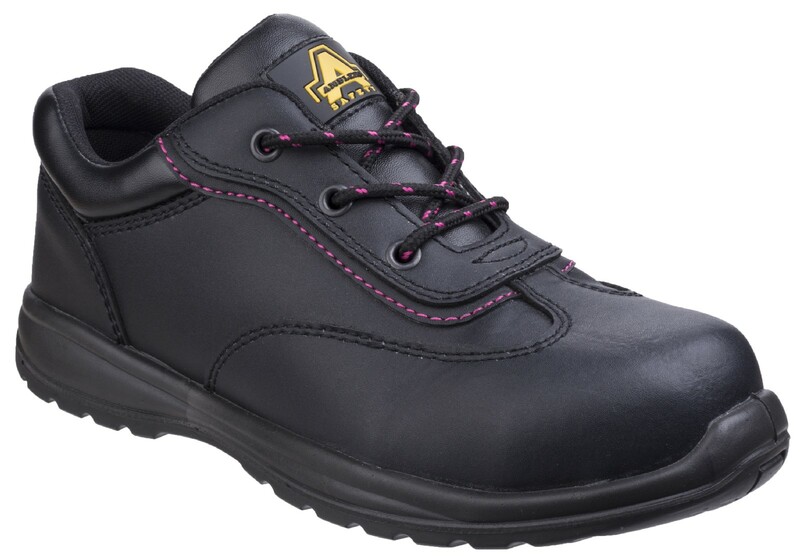 A safety shoe with a touch of pink and shaped to best fit the female foot shape, flexible and lightweight. 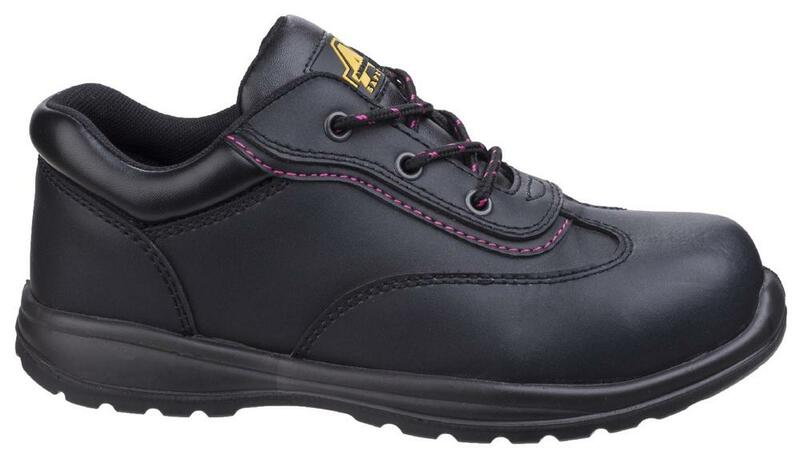 Padded collar for more comfortable and firm fit, Cushioned and flexible PU tongue. Dual Density injected PU outsole is lightweight yet hardwearing and ideal for use in a variety of environments. 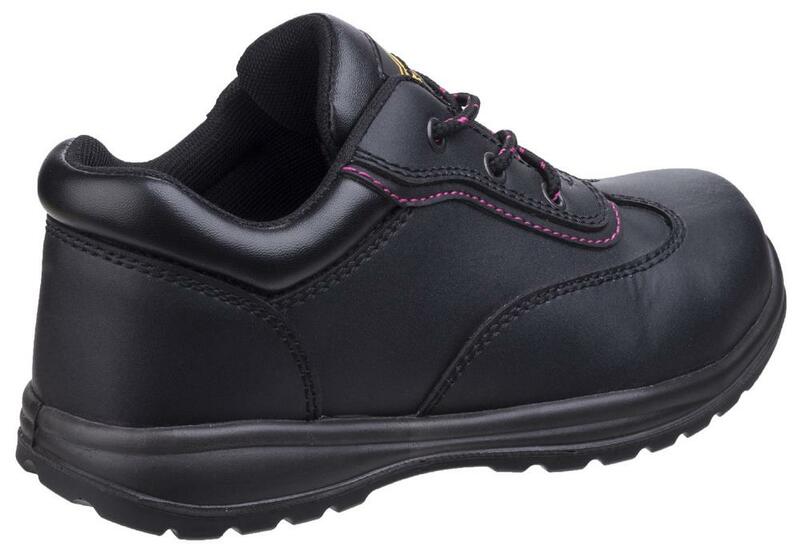 Amblers AS602C Ladies Metal Free Safety Trainer Shoes conforms to: EN ISO 20345:2011 S1-P SRC.